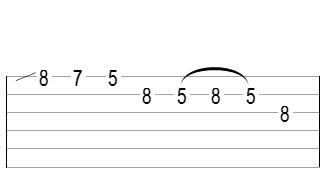 Why is it that so many guitarists lack essential lead guitar skills like good vibrato and string bending technique? These are very basic skills and you won’t be considered a good player unless you have these things fairly well developed. 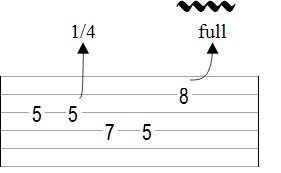 Some other common deficiencies for many guitarists include lack of rhythmic variety in their solos, poor note choice, neglect of things like slides, trills and other nuances, and an under-developed musical vocabulary of licks and techniques. These deficiencies lead to very unprofessional and boring sounding solos. All of this has to do with a lack of basic guitar phrasing skills. One of the biggest reasons many guitarists do not have good phrasing skills is because good phrasing is much more than simply being able to play technically well, although that is important too. Typically, new players spend much of their time trying to develop speed and impressive technical skills. Then the day comes when they go to a jam session and none of the exercises they worked so hard on sound very good in a musical context. For these guitarists a gap exists between being able to physically play the guitar and having the skills necessary for musical self-expression. Phrasing has more to do with how you play something rather than what you play. For example, we use phrasing everyday in our conversations with other people. When we speak, we use words to convey meaning to the listener. We combine these words to make sentences. But we don’t only use words and sentences. How we say those words can make a huge difference in both the meaning of what we are saying and the listener’s interpretation of what is being said. If we are angry, we might raise our voice, or if we are sad we might whisper…we may pause for effect or put emphasis on a certain word. We use inflections to give more meaning to the things we say. When we play a guitar solo, the same process happens… but instead of using words we use musical pitches, rhythm, articulation, and dynamics. But we don’t just play the notes. We might play faster to increase the intensity, or maybe we’ll hang on to a note and give it a wide vibrato to add emotion. If you have read this far chances are you may be struggling in this area. So, what are some things we can do now to improve our phrasing and self-expression on the guitar? with a melody like a singer's voice. In order to show this process in action we are going to look at how two short licks can be changed and manipulated in new ways by using different phrasing elements. Each lick will be played 4 different ways. Once without any phrasing elements at all--very bland sounding. Then I’ll show you 3 more variations each time with new phrasing elements added in. These will get you started with the idea of taking a simple lick and creating new and cooler variations of your own that you can use in your own solos. You should take these ideas and make your own variations and then practice jamming on them over a backing track. 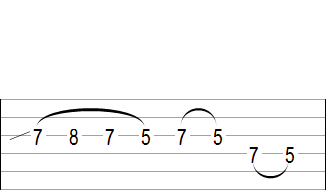 Best of all, I have created a special bonus lesson for you in which you can hear 6 more even cooler variations of each lick with tab and a free backing track to jam over. Go to my free rock guitar licks lesson to get those now! 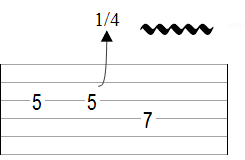 This is a simple minor pentatonic/blues scale lick in the key of A. Notice the complete lack of any phrasing nuances. The lick has a certain rhythm to it but the execution is very dry and uninspired. So let’s go to our first variation and spice things up a little. For variation 1 the phrase starts with a slide into the first note. This is a subtle thing but notice the difference it makes in sound. Then at the end of the phrase vibrato is added to the last note. So only two phrasing elements were added but already the phrase is starting to come to life. Let’s go on to variation 2. Variation 3 begins with the same slide from above as in the previous example. Then the phrase continues as originally written until the end of the phrase. 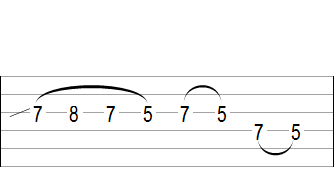 Two extra notes are added to the original phrase—G at the fifth fret fourth string and G at the eighth fret second string which is immediately bent up a whole step to A and finished with a wide vibrato. As you create your own variations part of changing the phrasing may be adding or subtracting certain notes. You’ll see more of this in the following examples. In variation two a couple of changes were made to enhance sound of the lick but still retain it’s overall structure. 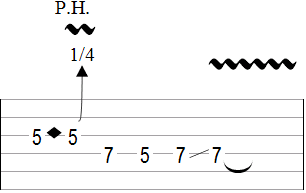 A fast sextuplet line using hammer-ons and pull-offs breaks up the predictability of the original lick by changing the rhythm of the phrasing. 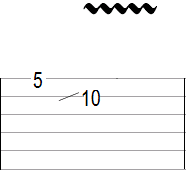 Combining different rhythms in your soloing is a great way to make things more interesting! At the end of the lick I slid into the last note instead of bending up to it-- a subtle but noticeable difference. In variation 3 we are combining 16th notes with sextuplets rhythmically. 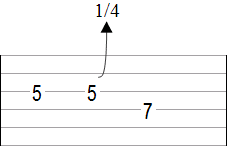 Instead of playing notes on the first string I’m going down the blues scale on the second and third strings to give the phrase a different sound. However, even though some of the notes are different notice how the lick is still similar to our original lick. This is an example of how you can use a particular lick as a launching pad for creating exciting and original variations of your own! I have created 6 more variations of both licks for you sink your teeth into. These variations are even cooler and a bit more advanced so they will challenge your chops as well as give you some great new phrasing ideas. I’ve also played them over a backing track so you can hear them in a real musical context. You can download the audio, tab and get the backing track in my free rock guitar licks lesson. Go get it now. Nick Layton is a professional guitarist, recording artist, author and guitar instructor based in Washington State. Find out more about his instructional courses and music at www.nicklayton.com. © Nick Layton. All Rights reserved. Learn the most effective and proven ways of mastering guitar phrasing.